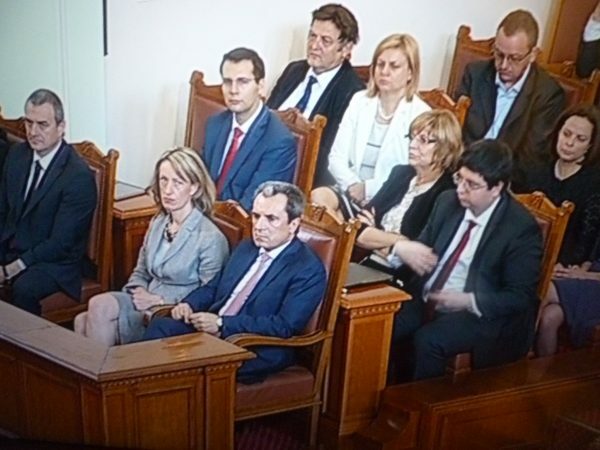 Bulgaria’s unicameral Parliament, the National Assembly, voted on July 24 2014 to accept the resignation of the cabinet that Plamen Oresharski, nominal head of the government, had tabled the previous day. 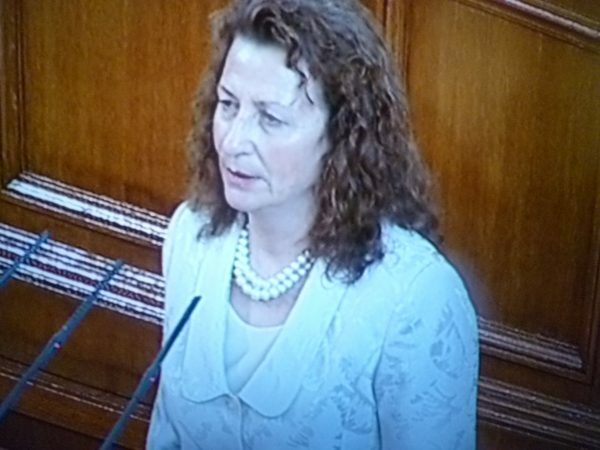 The vote was 180 in favour, eight against and eight abstentions. 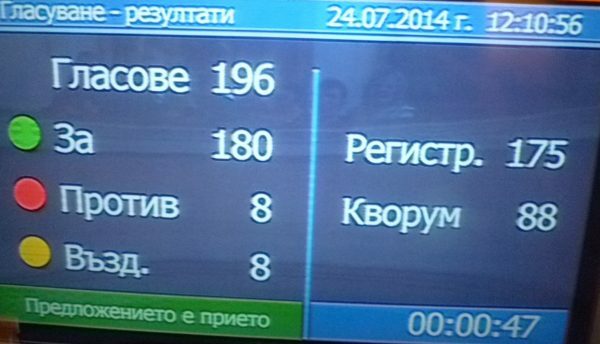 A total of 175 MPs voted out of the 240 members of Bulgaria’s National Assembly. All 93 GERB MPs present voted in favour. 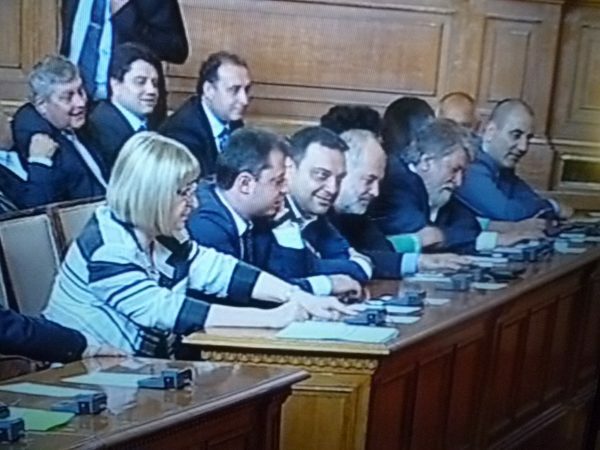 Of the 55 Bulgarian Socialist Party MPs present, 40 voted in favour, eight against and seven abstained. of 31 Movement for Rights and Freedoms MPs present, 30 voted in favour and one abstained. The 14 Ataka MPs present all voted in favour of the resignation. As had been expected, the sitting to vote on the resignation had no trouble securing a quorum, unlike several recent sittings that had to be cancelled. Centre-right opposition GERB, the largest single parliamentary group, has been boycotting recently, insisting it would return only to vote on the resignation of the cabinet. 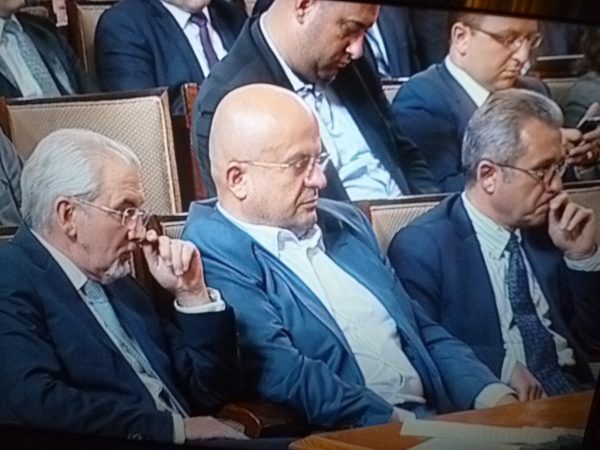 Boiko Borissov and GERB MPs vote for the resignation of the government. 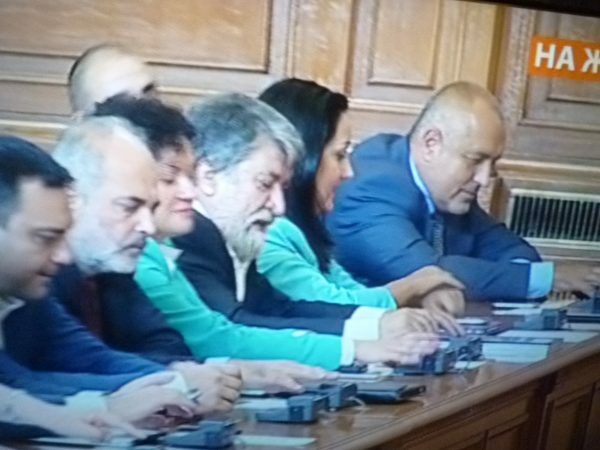 MPs from the smallest party, far-right Ataka, were present, suspending their boycott to return, although Ataka leader Volen Siderov was absent after he said he would not be able to come to Sofia in time for the vote. Almost at full complement were the parliamentary groups of the Bulgarian Socialist Party and the Movement for Rights and Freedoms, the two parties “supporting the government”. Speaking in debate on the vote to accept the resignation of the governnment, senior GERB MP Tsvetan Tsvetanov said that the current Parliament was departing with the lowest public approval rating of any Bulgarian legislature in the past 25 years – and the “longest fences”, a reference to the heavy barriers outside the National Assembly building placed in response to months of anti-government protests. Lengthy debate on the vote was characterised by an atmosphere of recrimination typical of the 42nd National Assembly. Atanas Merdzhanov, head of the BSP parliamentary group, said that GERB had not behaved like parliamentarians nor even as an opposition, but rather as a “sabotage group”. Closing the debate on the resignation of the cabinet, Oresharski numbered the government’s achievements as including improved economic indicators, the eurobond issue, new jobs in the real economy and dealing with the refugee influx in 2013. The cabinet will remain in office in an acting capacity until August 5, when head of state President Rossen Plevneliev will announce a caretaker cabinet to take Bulgaria into early parliamentary elections scheduled for October 5. The 42nd National Assembly is scheduled to be dissolved on August 6. 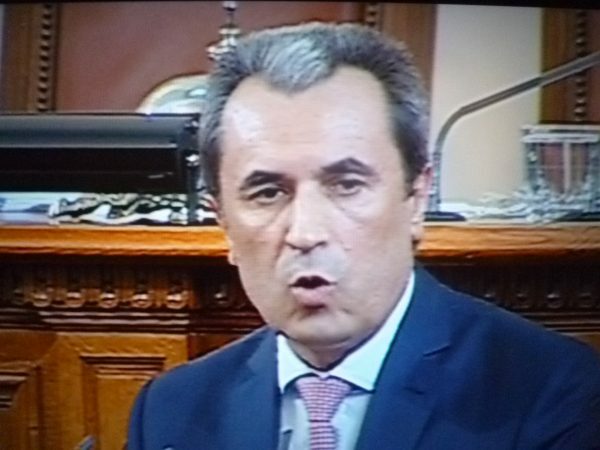 The current Parliament held its first sitting on May 21 2013 after early parliamentary elections, and the cabinet took office on May 29, on the basis of a mandate handed to the Bulgarian Socialist Party, which had run second in the elections but got the chance to govern because centre-right GERB, which had won the most votes, had no allies with which to form a cabinet. The morning’s proceedings on July 24 included the swearing-in of a new MP, Tsonka Kasnakova-Ilieva of GERB, taking up a vacant seat and who is set to the shortest-serving member of the 42nd National Assembly. GERB’s Tsonka Kasnakova-Ilieva takes the oath as an MP on July 24, in a Parliament that will be dissolved on August 6. Members of the BSP-MRF ‘Oresharski’ cabinet await the vote on the resignation of the government. Senior GERB MP Liliyana Pavlova, left, and party leader Boiko Borissov. 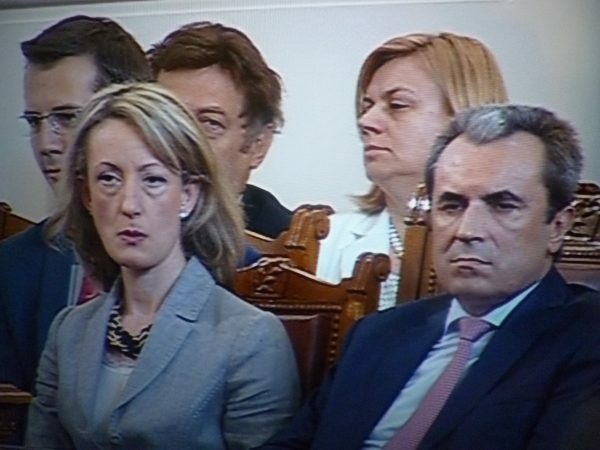 GERB frontbenchers ahead of the vote on the resignation of the cabinet. MRF leader Lyutvi Mestan, left, and MRF MPs Chetin Kazak and Yordan Tsonev. The July 24 vote to accept the government’s resignation took place on justice minister and deputy prime minister Zinaida Zlatanova’s 41st birthday. Government and opposition MPs paused briefly from politics to congratulate her.